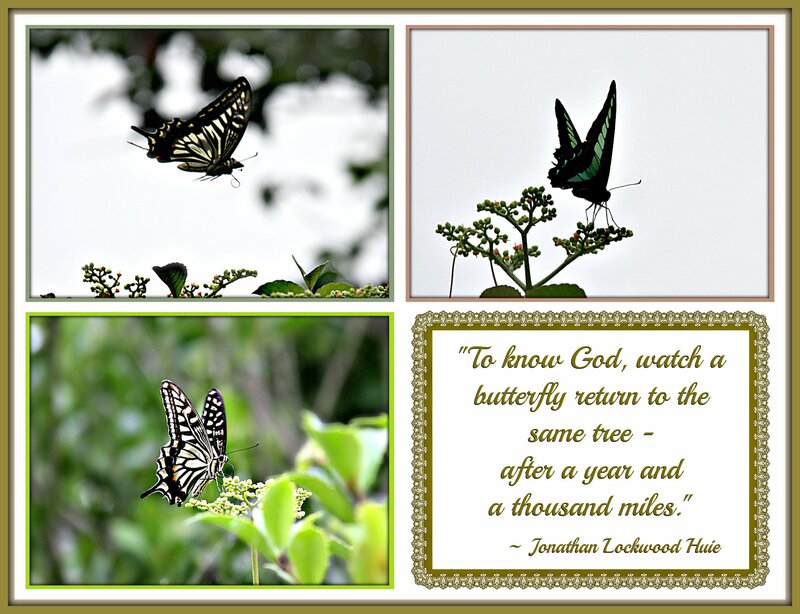 ~*~ My World ~*~: "To know God, watch a butterfly return to the same tree - after a year and a thousand miles." "To know God, watch a butterfly return to the same tree - after a year and a thousand miles." 3. "Beautiful and graceful, varied and enchanting, small but approachable, butterflies lead you to the sunny side of life. And everyone deserves a little sunshine."